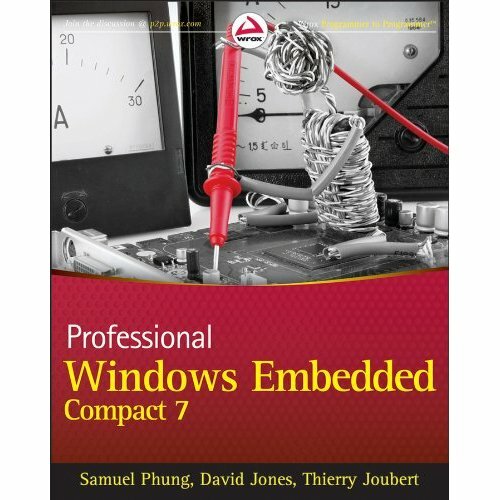 the book Professional Windows Embedded Compact 7 written by fellow MVPs Samuel Phung, David Jones and Thierry Joubert is nearly finished. Go ahead and pre-order it now on Amazon! Various instant messaging channels like facebook chat, Windows Live Messenger, etc. Further information about Mango can be found here. The Beta SDK is available here. Congratulations to all participants of this year’s embeddedSPARK contest, you really did an amazing job! Check out the embeddedSPARK forum for further information! Best of luck to you in the finals! as you know AppVerifier was replaced by Resource Leak Detector (RLD) in Windows Embedded Compact 7. Unfortunately RLD does not cover all the scenarios you could use AppVerifier for. So today is your lucky day: you can find an updated version of AppVerifier for Windows Embedded Compact 7 that allows the creation of custom shims and does NOT require a KITL connection on MSDN Code Gallery. Windows Embedded CE QFEs for April 2011 have arrived! •110405_KB2481555 - This update addresses some Internet Explorer issues. •110428_KB2529142 - User mode drivers loaded via LoadDriver are not loaded as non-pageable. •110426_KB2520539 - This update addresses a race condition between UnmapViewOfFile and MapViewOfFile for the named-file mapping object. •110404_KB2521622 - This update addresses an issue in kernel VM implementation specific to ARM processor. •110428_KB2533422 - This update addresses and issue with JScript onClick event not working properly. •110428_KB2527087 - VBScript may not handle InputBox and MsgBox correctly. •110420_KB2531374 - CD may not play if some file names have Unicode characters. •110405_KB2481558 - This update addresses some Internet Explorer issues.